Timewarp Records has achieved inner enlightenment through the well-known practise of calming the body and mind to attain the healing Alpha Wave state generated during Meditation. 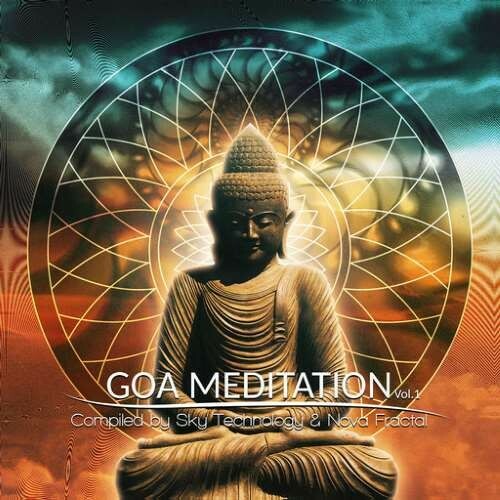 With volume One of this quintessential new series quite aptly titled 'Goa Meditation' label manager and multi-talented goa producer Nova Fractal joins forces with label artist Sky Technology to compile a deeply soothing mind body excursion featuring top PsyChill and Sloa Goa Midtempo compositions inspiring the theme and extending the concept across many disciplines of Downtempo Ambient Breakbeat and even hints of Psy Bass and Chill Step Psybient. Sky Technology proposed this idea to Nova Fractal when he conceived of a three part odyssey that started with his ecclesiastal melodic acid chill goa EP on Goa Records titled 'Free Spirit', Delves deeply through this mind expanding double disc compilation and culminates on his coming soon, eagerly anticipated full length album on Timewarp Rec titled 'Spirituality'. These two talented musicians collaborate seamlessly to discover and present a perfectly balanced selection of artists and songs that communicate our philosophy and mission perfectly. Expect great music from returning Timewarp regulars as well as a great variety of artists new to the label. Dmytro Kolosovskiy aka Sky Technology is well known Ukraine psychedelic trance producer who comes from Kiew, born in 1982. His main style is melodic goa trance, tracks with powerful beat, full of energy, ethno motives, spiced all with acid sounds. He also makes very powerful and emotional downtempo-ambient music. So far he has released couple of EP, 2 full length albums, numerous tracks on various compilations, he has done also some compilations. From this talented artist we can expect soon to be released new downtempo album and singles. Nova Fractal is Croatian psychedelic and Goa trance project, founded by Renato Brnic from Slavonski Brod, also releasing breaks and downtempo with his side project 'Main Sequence Star' and managing Timewarp Records.